As with any home styling and interior design, decorating your home at Christmas should be inspired by your personality. it should be a reflection of you and your family, showcasing the things you love in the way you love it. Don’t worry too much about following a trend (unless they really inspire you) and add something unique to the way you dress your home. Give it a quirky edge, let your creativity shine and just experiment. Even if you know you need and want a more traditional Christmas tree (after all, Santa might not leave gifts under anything too different) there’s always room in the house to create another, more alternative tree. 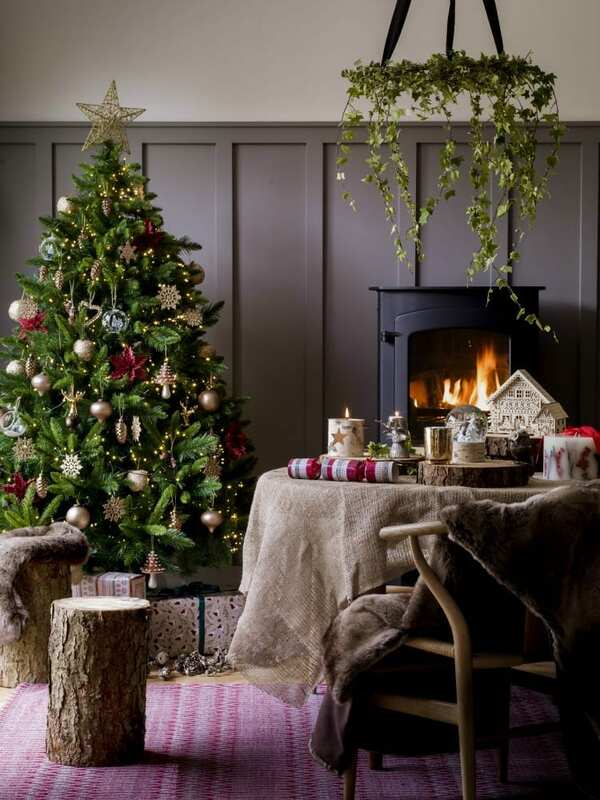 I’ve got lots of ideas in another post I’m writing too but do take a look at my Christmas Home Pinterest board for more inspirational ideas. I love this idea on how to make an alternative ladder Christmas tree or hop to the bottom of the page to see the video on how it’s done. It’s genius. 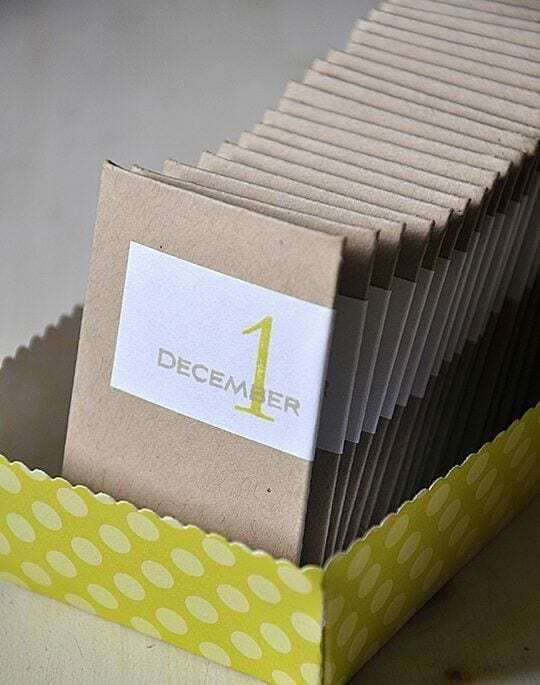 There are so many options when it comes to making a DIY Advent calendar. Let your imagination run wild and consider how you can wrap or hide gifts/chocolates/treats/poems/love messages/jokes and so on. For some ideas to get you started you can take a look at my Advent Calendar #StyleChallenge post here. Another area that is perfect for injecting your own unique touch, is the Christmas table. Whether you’re entertaining for family, friends or just you and a partner, this is a great way to add some individual, alternative pieces, that don’t have to cost a lot either. Why not forage whilst out for a walk one Sunday, and put together your own napkin holder like this one above. It really adds something special to the dinner table. I’m a sucker for a Christmas TV ad, and the one that’s really caught my eye, (no not THAT one) it was the House of Fraser ad. In fact, I had to pause live tv, rewind and watch it again at the weekend. You know that bit when you try to guess who’s ad it is when you see if for the first time? Yeah, and I got it right too. The quirky, edgy ad and fabulous backing song really captured the way I love to do Christmas. A touch of tradition with my own individual slant. It’s all about Your Christmas: Your Rules. House of Fraser have also put together some extra films, to inspire you to have a go at making Christmas individual and unique to you. This one has to be my favourite and fits beautifully with what I’ve been trying to say today. Have a go at putting your own spin on Christmas this year, decorate your home how you like to, and don’t be too led by traditions. It’s all about injecting your personality into styling your home this Christmas, and having lots of fun along the way. See I’m loving the idea of going your own way at Christmas really lovely post. Only idea I just couldn’t do is the upside down Christmas tree, feels so strange? Fab ideas, Jen! I love the finishing touches for the dining table, very easy to do and a nice way of adding your own personal touch. Oh I LOVE that advert! Some really great ideas here Jen. I normally wouldn’t go for something like an upside down Christmas tree but it could be the perfect solution with two tiny kids. May consider that next year. Love all these ideas Jen. So inspiring. I’m been flirting with an upside down tree since I found one Pinterest last year, but then I don’t possess the huge amounts of space and tall ceilings to make it happen. One can dream. Yes to doing Christmas your way though, there’s always so much pressure at this time of year-I say whatever it takes to lessen it!